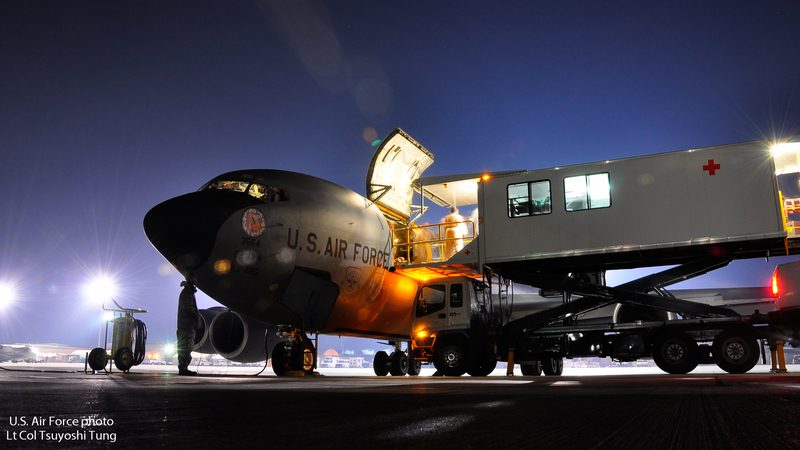 KC-135R #62-3554 at Bagram Air Base, Afghanistan, onloading aeromedical patients, 2009. 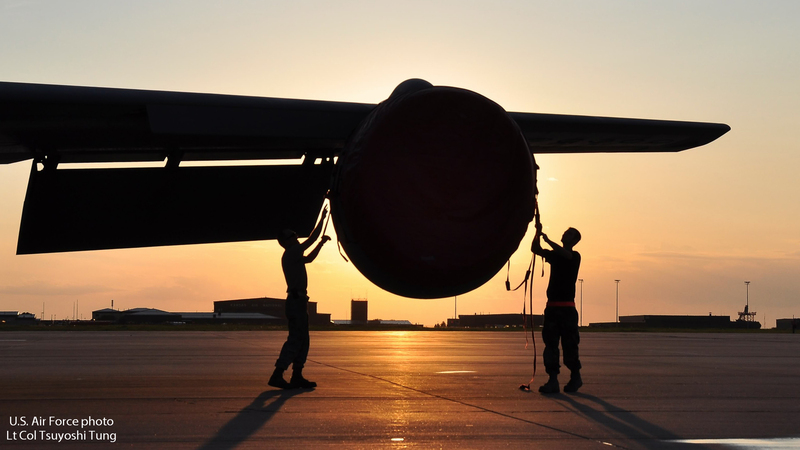 Crew chiefs installing engine covers as the sun sets at McConnell AFB, 2009. 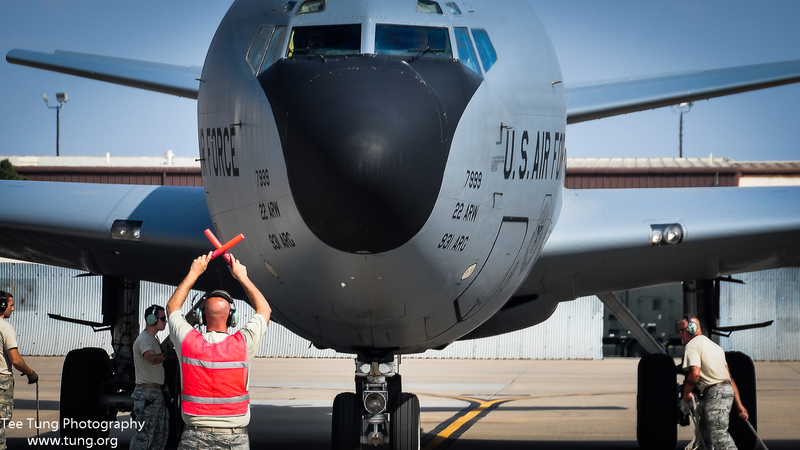 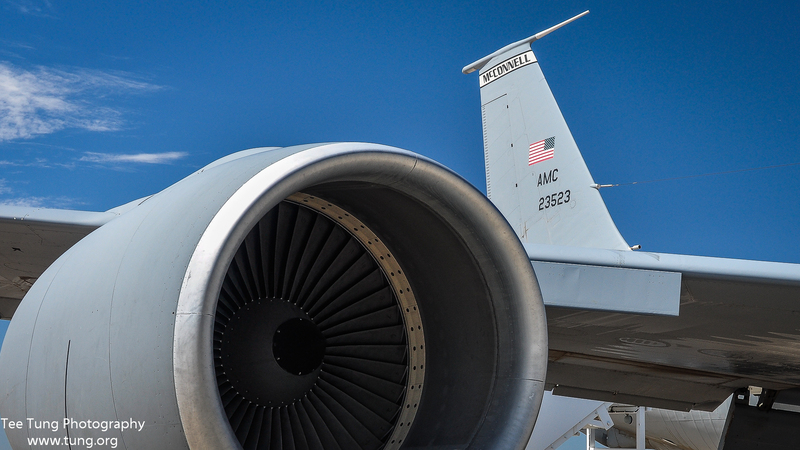 USAF photo. 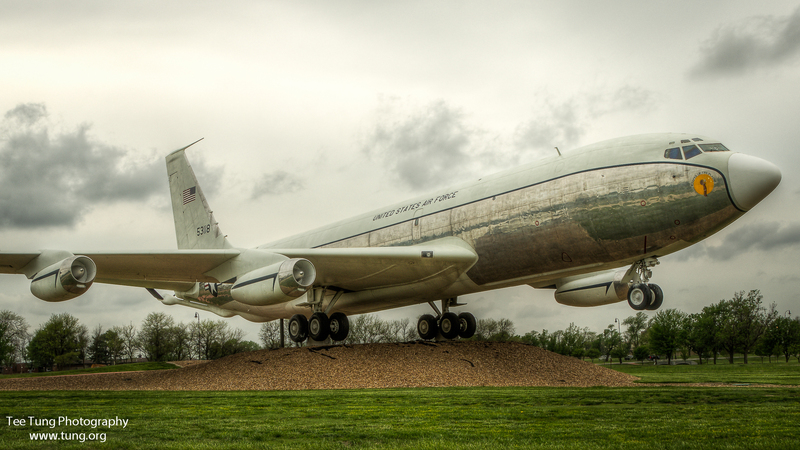 KC-135A #55-3118, the first KC-135 built, on static display at McConnell AFB, 2013. 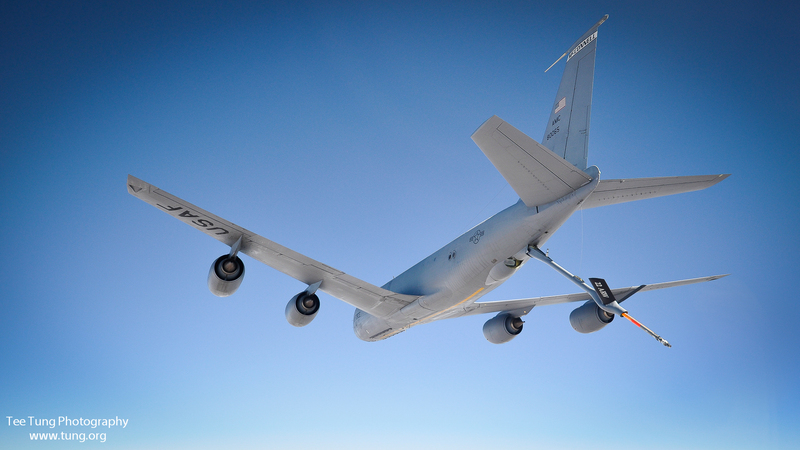 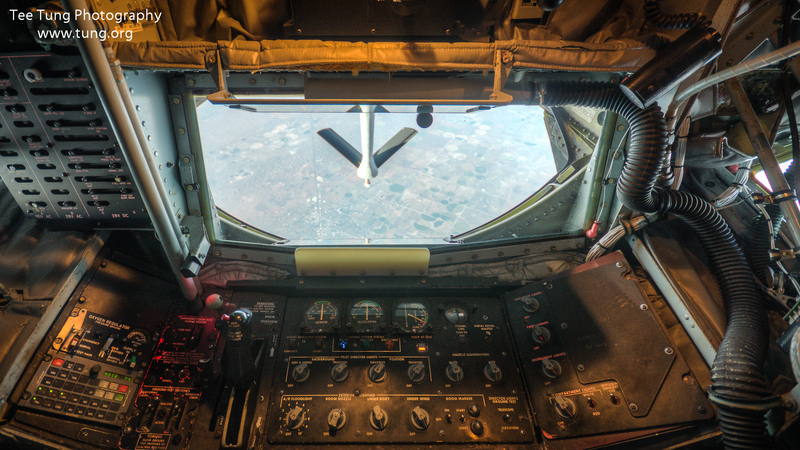 View out of the KC-135 boom pod with the air refueling boom deployed, 2013. 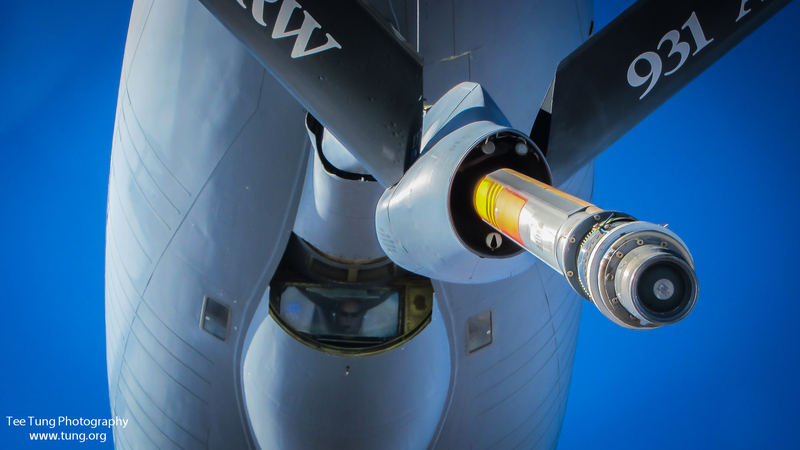 Looking up at the boom, ready to make contact. 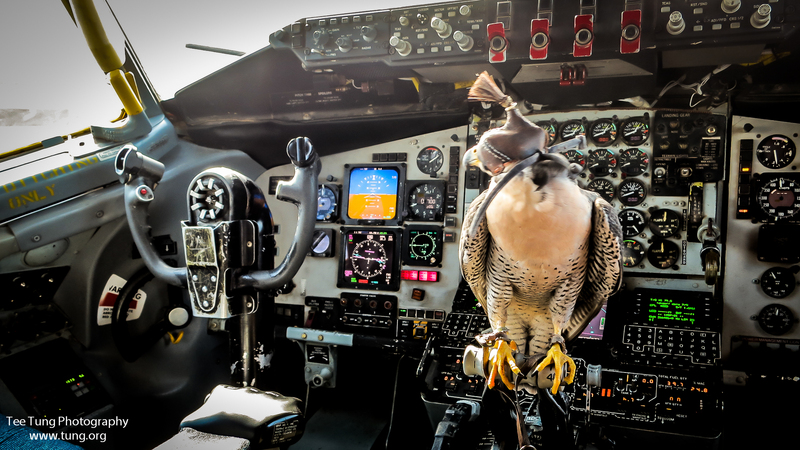 Falcon under the hood in the cockpit. 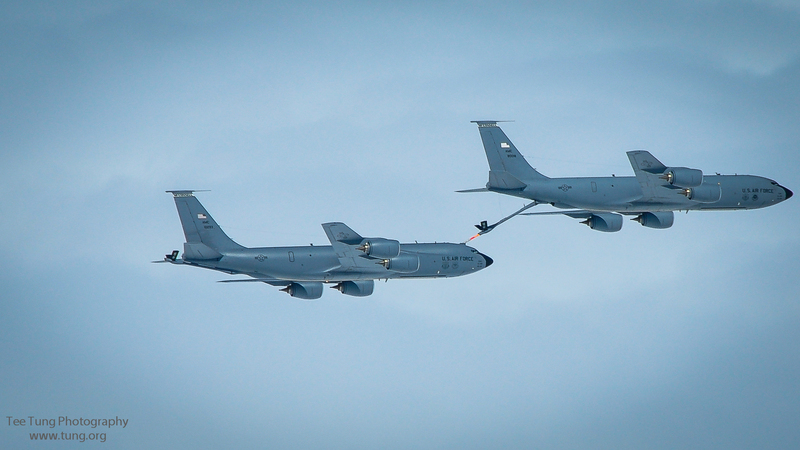 There’s a story behind this photo, which I will elaborate on in the future. 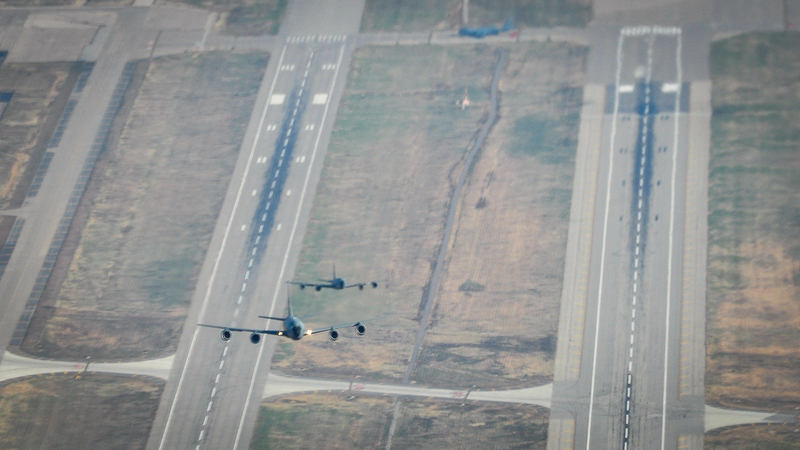 Two KC-135Rs in formation on departure climbout. 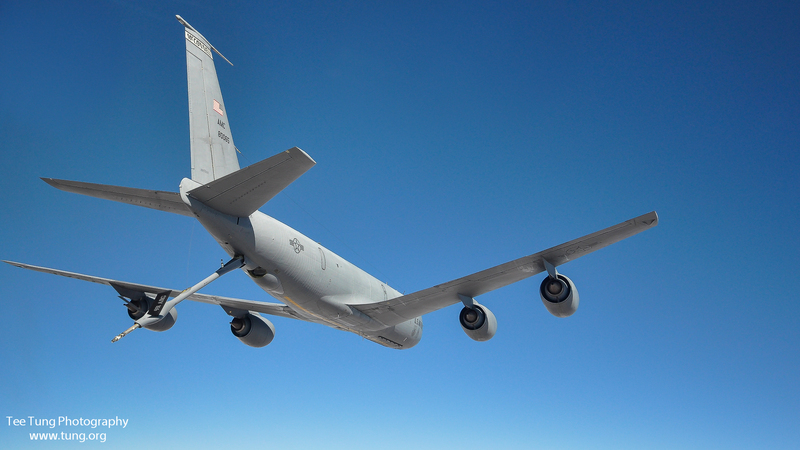 KC-135R with the boom down. 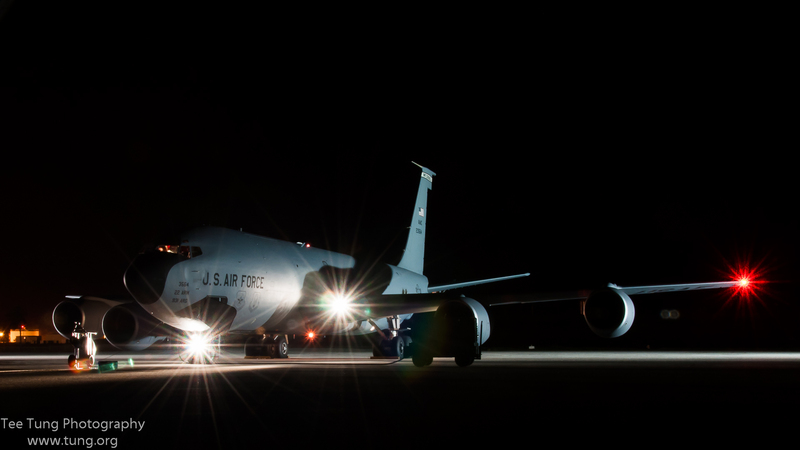 KC-135 on a dark ramp with all the lights turned on. 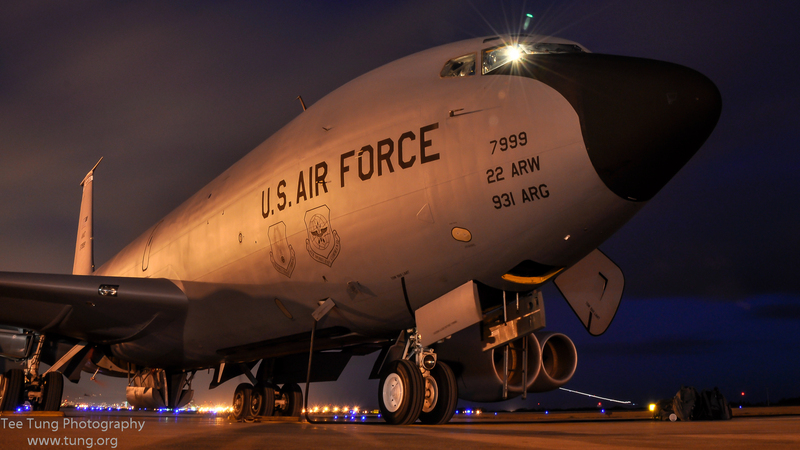 After landing at Hickam AFB on the AMC ramp, 2010.